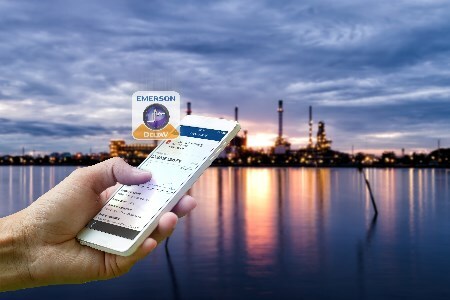 Emerson has launched DeltaV™ Mobile, a new platform that leverages Industrial Internet of Things (IoT) technologies to empower the manufacturing engineer of the future with access to real-time data, trends and insight to make better-informed, critical operations decisions – securely from anywhere in the world. Part of Emerson’s Plantweb™ digital ecosystem, DeltaV Mobile uses smartphone technology with process control data to make operational intelligence available 24/7 for its customers. The digital plant of the future uses DeltaV Mobile to remove the confines of the control room and enable the digital worker to monitor operations and see critical operational data more flexibly. By integrating seamlessly and securely with the DeltaV distributed control system, DeltaV Mobile delivers critical contextual data that is often left behind by other solutions. With added context, DeltaV Mobile users can make better decisions around operational events that could affect bottom-line business results. Incorporating Emerson’s Plantweb Secure First Mile™ technology, DeltaV Mobile provides safe, remote access to important plant data without impacting critical production systems. DeltaV Mobile enables on-site teams to quickly and securely connect with off-site experts, extending organisation-wide expertise and collaboration beyond the plant. Intuitive mobile views and customisable filtering ensure that users see clear and relevant data and alerts about the safety and performance of facilities. It easily provides alarms, trends and data available on DeltaV operator workstations to iOS and Android mobile devices, as well as alarm alerts via push, SMS, or email notification. DeltaV Mobile is a core platform solution in Emerson’s Always Mobile™ portfolio, which also includes Asset View for the AMS ARES asset management platform and Guardian™ Mobile. Always Mobile technologies deliver operational mobility solutions that improve productivity and collaboration. With secure, instant access to operational information in intuitive views, personnel can make accurate decisions.